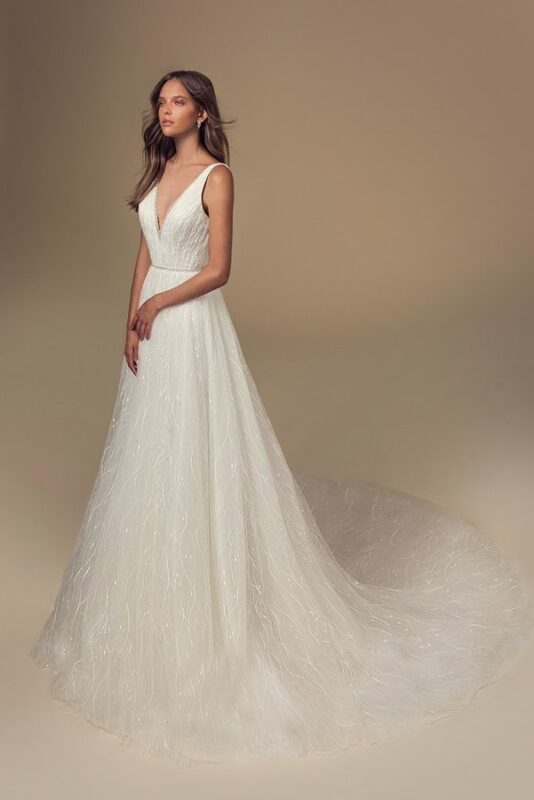 The new line from Julie Vino Bridal Group, Mimosa Bridal debuted at NYBFW in October 2017. The Mimosa Bridal line has combines detailed lace, tulles to create classic styles, for the bride who is looking for the romantic gown. All of the styles are designed exclusively by Julie Vino.